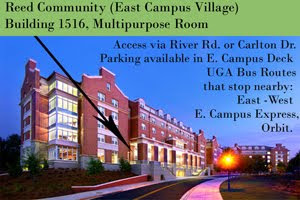 When: November 15, 2011 -- 6:30-8:30 p.m. If you’ve got federal direct aid, you know how much you owe the government in student loans; and chances are you’ve heard talk about the national debt in the last few years. But have you ever wondered how much of that $14 trillion-and-change debt is on your shoulders? 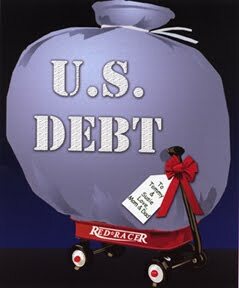 Currently, every American’s share of the national debt and unfunded liabilities like Medicare and Social Security is $184,000 and climbing. If nothing is done, the federal government will be spending every tax dollar on Social Security, Medicare, Medicaid, and interest on the debt alone in 29 years. That will have to mean either much higher taxes or far fewer government services for the same tax level in future decades. Should we cut government programs? What if taming the debt crisis makes the economy worse? The Russell Forum for Civic Life in Georgia, a civic engagement program based at the UGA Libraries, and University Housing invite you to attend a campus community forum on the huge and growing national debt. At the forum, you will have a chance to share your thoughts and concerns on this very big and very expensive issue, hear what others have to say, and weigh the benefits, consequences and tradeoffs of some promising options for dealing with it. Trained moderators will help keep the forum conversation focused and encourage lively and civil participation. All perspectives are always welcome at Russell forums! This campus community forum is part of a national initiative by the Kettering Foundation in concert with the National Issues Forums Institute and the Association of Centers for the Study of Congress. Your ideas will be part of a national report charting Americans’ perspectives on fixing the national debt. Sponsors will share this report with lawmakers around the country. Learn more at http://tinyurl.com/nifdebtforums.